There’s much to love about the 2018 Honda Accord, starting with its long lineup of trims. From the entry-level LX to the top-tier Touring, the Honda Accord trims come equipped with the exterior and interior features Kamuela drivers want at prices competitors can’t match. Whether you’re shopping for an affordable everyday car or a fully-loaded sedan that borders on luxury territory, the Honda Accord can meet your needs. LX ($23,570* Starting MSRP): The LX kicks off the Accord lineup with a 192-hp 4-cylinder engine, Honda Sensing, dual-zone climate control, power windows and locks, illuminated steering wheel-mounted controls, and a 7-inch display with customizable settings. Sport ($25,780* Starting MSRP): The Sport takes the Accord up a notch, giving it a more athletic look and feel with an available 252-hp 4-cylinder engine, a body-colored decklid spoiler and side sills, LED fog lights, and a dual-exhaust chrome finisher. EX ($27,470* Starting MSRP): The mid-level EX isn’t as sports-focused as the two trims before it, but it’s generously equipped; standard features include smartphone integration, an 8-inch touchscreen, Blind Spot Information System, a power moonroof, and more. EX-L ($29,970* Starting MSRP): Equipped with leather upholstery, driver memory settings, and an auto-dimming rearview mirror, the EX-L includes features you can’t get on many costlier sedans. Touring ($33,800* Starting MSRP): Resting at the top of the lineup is the Touring, which rounds off the Accord Sedan’s feature set with automatic LED headlamps with low and high beams, not to mention Honda Satellite-Linked Navigation with Voice Recognition. 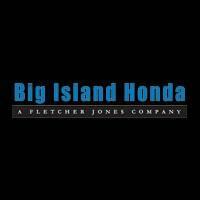 Browse the Honda Accord Trims at Big Island Honda! If any of the above trims caught your eye, contact Big Island Honda to schedule a test drive! With locations in Hilo and Kailua-Kona, we readily serve drivers on either side of the Big Island. Our friendly, knowledgeable team is happy to assist you with everything from finding the right Honda to applying for financing.